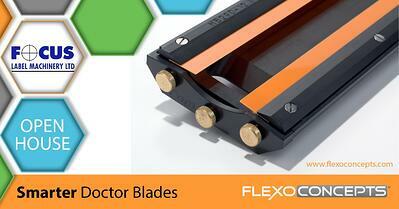 Over two days we will present our premium product, the e-Flex Servo, with UV LED. This will enable a workshop of technical know-how and guidance not just in the investment but the overall lifetime costs, savings and benefits using UV LED technology. We will also have two ink suppliers with us, in Nazdar and Flint Group to advise on the best ink solutions for your business model. 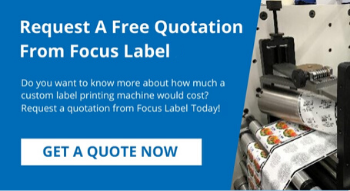 These investments add value to our showroom production and in conjunction we will be showing our hybrid digital inkjet technology in the d-Flex Hi Q, with the latest Konica Minolta heads, the KM1800i, now available with White and full cure UV LED. This continuous development and investment is to ensure Focus and our customers are at the cutting edge in the market. 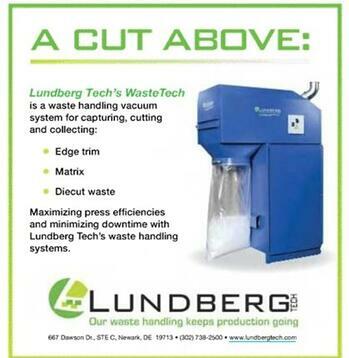 Focus are also partners with Lundberg Tech for Matrix and edge trim waste removal and have installed a WasteTech 80, an 'all-in-one' unit to capture, cut and collect edge trim waste. 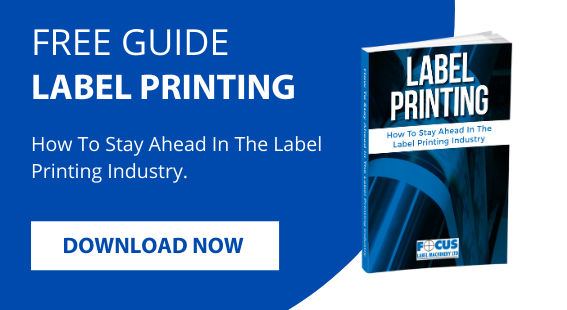 Ink formulation and drying efficiencies have also advanced significantly with IR and UV and now UV/LED technology. 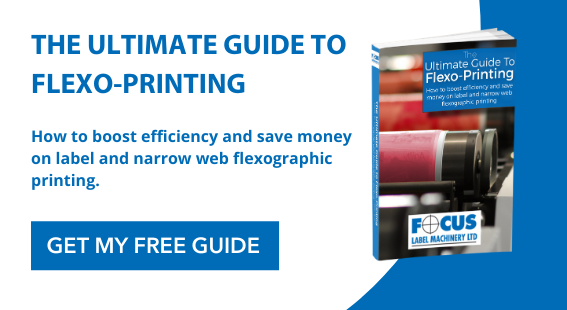 UV/LED is fast becoming an investment alternative as the consumable costs come down and the need for a sustainable use of factory power consumption becomes ever more desired, alongside the applications and materials that printers are required to produce the market place demands. 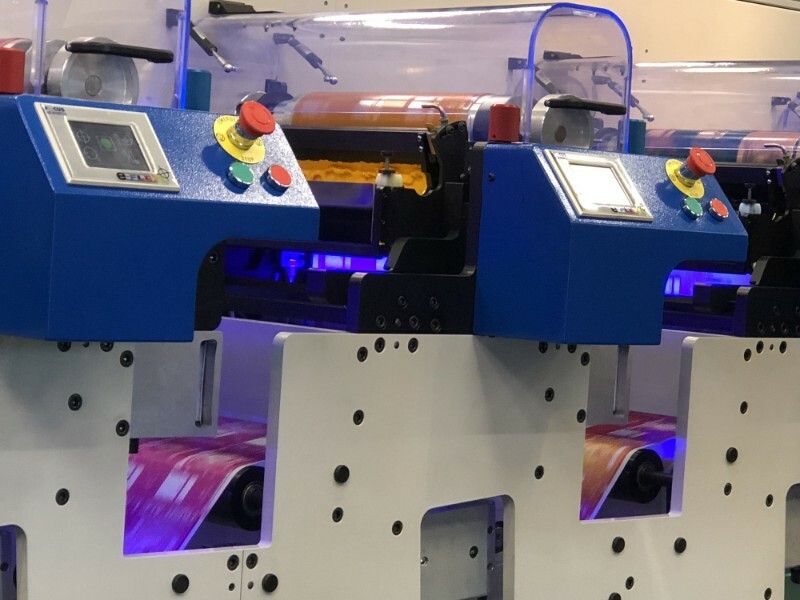 Digital inkjet has enabled Focus to manufacture a highly efficient Hybrid machine, creating the opportunity for blank reel to fully finished product in one pass, with both Flexo and Digital combined utilising drying technologies in IR, UV and now UV LED at speeds of 100+ mpm. Now the time has come when you can feel confident to look further into these technologies to support your business growth. 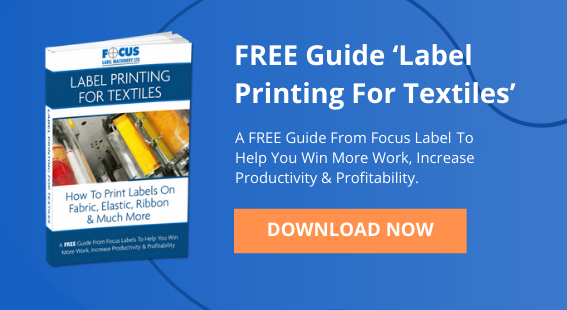 Copyright © 2019 Focus Label Machinery Ltd, All rights reserved.